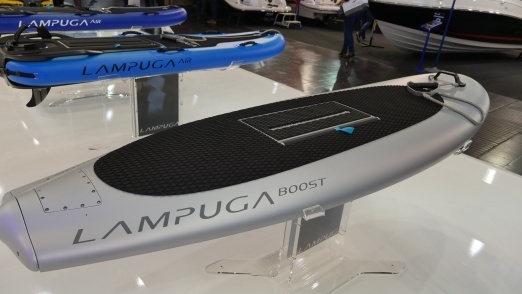 The Lampuga Boost 2018 model was introduced at the boot show in Dusseldorf (Germany) in January 2018 together with the Lampuga Air and Rescue. 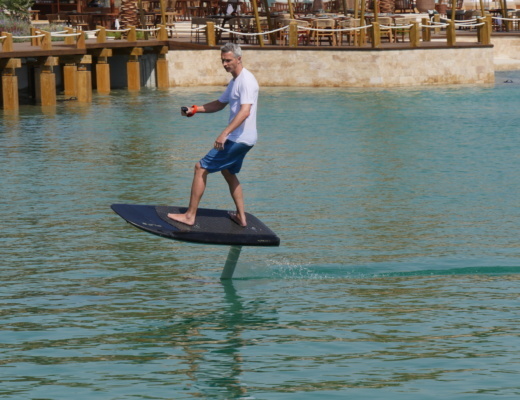 It is the most expensive but also most premium and fastest electric surfboard from Lampuga and promises 58 km/h or 36 mph. The battery shall last up to 45 minutes and charges in 120 minutes. The weight is 40 kg including the battery which is about 20 kg. 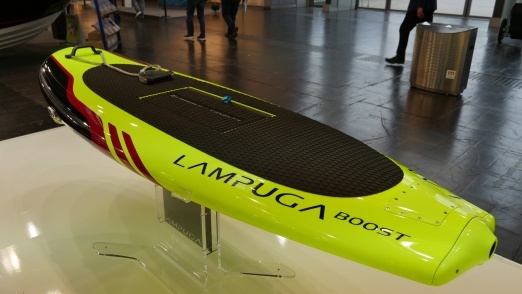 The Lampuga Boost is 256 cm long, 80 cm wide and 15 cm thick. 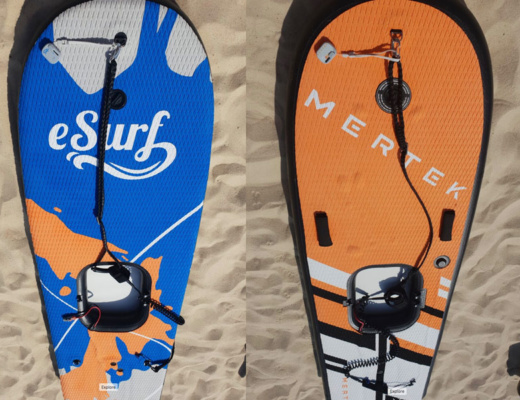 The carbon board claims the highest quality materials and is available in multiple colours such like black, silver, anodised, black-red-yellow and more. The battery is easy to replace in order to extend the ride with spare batteries. The batteries are the same than the ones for the Lampuga Air and Rescue. The wireless remote controller can like with the Lampuga Air be used as the handle or disconnected and just be hold in your hand with a leash to your wrist. Here is how the new Boost compares to the 2016 model. Remember the old Lampuga boards (before 2018) were produced by a different company which went bankrupt in 2017. The new boards are completely redesigned under new leadership. The Lampuga Boost is available from June 2018 for 21,000 EUR plus VAT. Certainly a premium price for a high quality board. We can’t wait to ride the board once it is available to do a full review. When we saw the board at boot Dusseldorf and where able to touch it, it really felt very good. It has an amazing high quality design. For more information visit the Lampuga website.